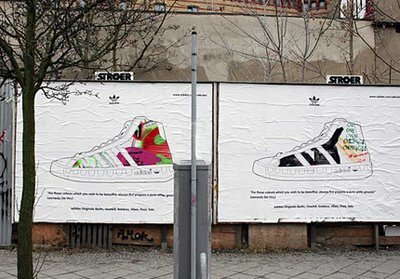 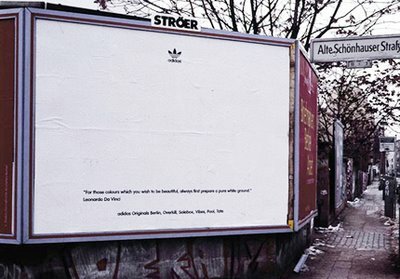 For it's new Adicolor series, Adidas put up blank billboards on the streets. 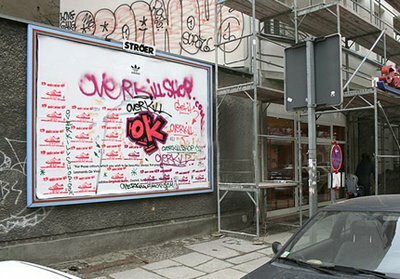 After obviously getting sprayed with tonns of graffiti from passing youngsters, they put a new poster on top of the sprayed ones. 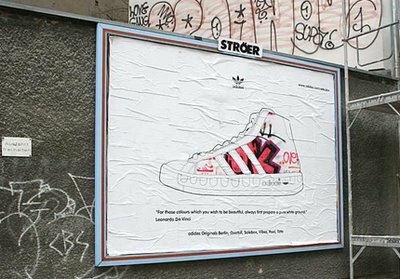 But this one had a liniar drawing of the new shoe on it with several parts cutted out so you could see the grafitti effect on the shoe.